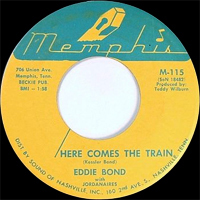 Chanteur Country US né Edwards James Bond, le 1er Juillet 1933 à Memphis (Tennessee). 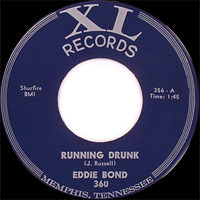 Eddie Bond, encore adolescent, se produit dans la région de Memphis avec son groupe les "Stompers". 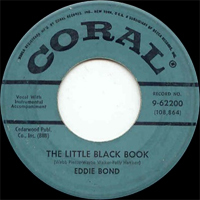 En 1952, il forme le "Western Swing Band" et en 1955, Eddie se présente sans succès chez Sun et Meteor Records. Il enregistre finalement un premier disque chez Ekko. Ensuite Eddie signe chez Mercury (56) avec ses "Stompers". 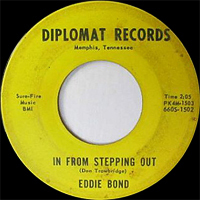 Il a aussi enregistré pour Stomper Time, United Southern Artists, Diplomat, Memphis, Tab et Phillips International Records (62). 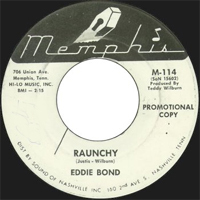 Eddie Bond a fait un retour en 1982 chez Rockhouse. 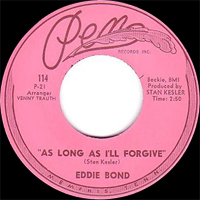 Eddie a aussi été un comédien sur la radio KWEM (Memphis, Tennessee) en 1955; Disc Jockey sur la même radio en 1956-58 et un chanteur régulier du Louisiana Hayride (KWKH, Shreveport, Louisiane). 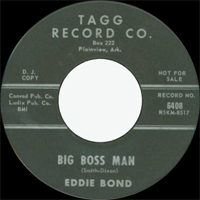 Eddie Bond est décédé le 20 Mars 2013 à Bolivar (Tennessee). 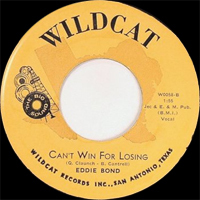 Despite never becoming a major national figure, Eddie Bond has carved out a place as a rockabilly and country star, as well as a radio personality, for 50 years. 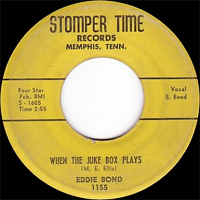 A contemporary of Elvis Presley and a fixture in Memphis and on the Louisiana Hayride in the mid-'50s, Bond was one of the best singers of the period, and led the Stompers, one of the hottest bands, but he never broke out the way Elvis did. 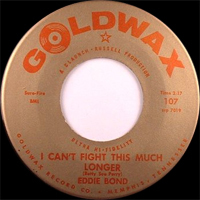 His records, whether rockabilly, country, or gospel, however, were among the best to come from Memphis from the mid-'50s through the 1960s, and helped Bond remain a much loved country/rockabilly performer into the new millennium. 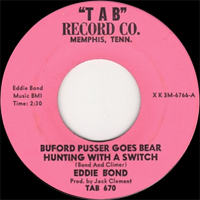 Born Edwards James Bond in Memphis, he was originally drawn into music by the work of Ernest Tubb and Roy Acuff. 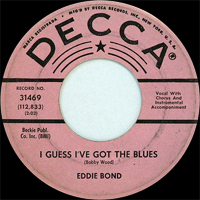 By age eight, Bond had saved enough to buy his first guitar, and as a teenager he played at beer joints around Memphis. He drifted through various jobs after finishing school, including furniture factory worker and truck driver, before serving an 18-month hitch in the Navy. After returning to civilian life, he began putting together his band, the Stompers, whose membership at various times in the years 1952-1954 included Jody Chastain and Curtis Lee Anderson. By 1955, the group's mainstays included Reggie Young on lead guitar, John Hughey on the pedal steel, and Johnny Fine at the drums. 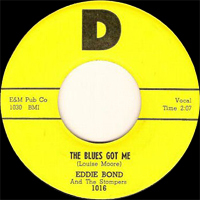 Bond led the Stompers on tours across the South and Southwest, billed alongside Roy Orbison, among other future country and rock & roll stars. 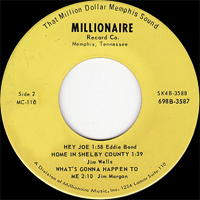 They failed in auditions for Sam Phillips at Sun and the Bihari brothers' Meteor label, and in 1955 he signed with tiny Ekko Records, which resulted in a pair of singles issued late in the year, "Double Duty Lovin'"/"Talking Off the Wall" and "Love Makes a Fool (Everyday)"/"Your Eyes." These were pleasant, well-played country numbers, but they didn't include the band, only Bond as singer. 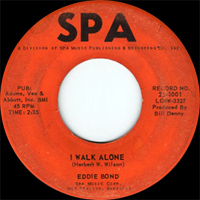 With Hank Garland on lead guitar, Jerry Byrd on steel guitar, and Marvin Hughes at the ivories, they were OK records and then some, but not representative of Bond's real sound — "Talking Off the Wall" was a rocker, with a solid beat and lots of tension in the lead and rhythm guitar parts, but it was the B-side to the milder "Double Duty Lovin'." In any case, neither record attracted any notice from the public or the musical world. 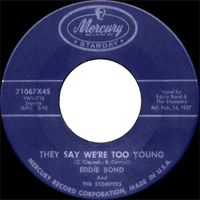 Bond and his band managed to get signed to Mercury Records in 1956, and this was where they came into their own. 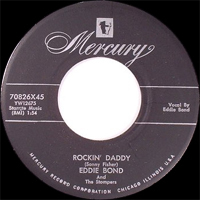 From their first Mercury session in February of 1956, Eddie Bond & the Stompers cooked, with a lean, hard rockabilly sound that rocked with the best of them. 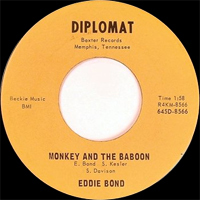 The band in those days featured Young, Hughey, and Fine, with Bond playing rhythm. 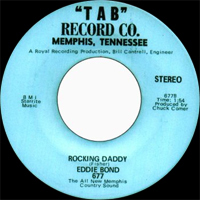 The single "I Got a Woman"/"Rockin' Daddy" from that session is testimony to the excitement they could generate. That Mercury debut sold well in the spring of 1956, and they were getting lots of gigs and broadcast exposure at the time. 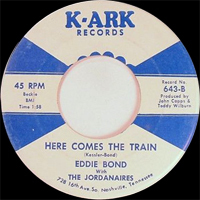 Bond played the Louisiana Hayride alongside Elvis Presley, Johnny Cash, and Johnny Horton, and it was around this time that he started his own radio show, an activity that was to loom ever larger in his career. 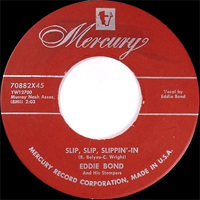 His second Mercury session produced still more rockabilly gold, including "Slip, Slip, Slippin' In" and "Flip, Flop Mama," and they sold respectably, if not spectacularly. 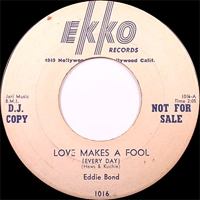 Bond didn't stay with rockabilly music, however, and his later Mercury sessions produced country sides, although "Love Love Love" rocks pretty well. 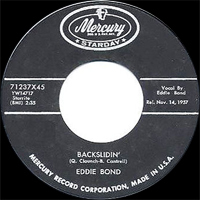 His Mercury contract ended in 1957, and for his next sessions, Bond was back doing rockabilly again, followed by more country music and even a foray into gospel in the early '60s. 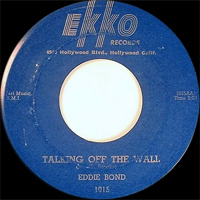 Bond's biggest success in the years that followed came on radio, where his show achieved huge ratings; this, in turn, helped sustain his record sales, as he recorded or licensed various songs to different labels, mostly in a country vein. 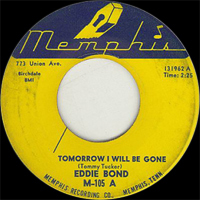 Eddie Bond was never going to be another Elvis Presley — he wasn't going to be turned into a movie star as easily, or branch into other, heavily produced sounds, and he was too successful early on as a radio personality to abandon that activity. 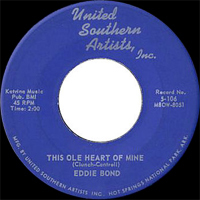 But he made a more than fair rival to Conway Twitty (whom he played with around 1955, when the latter was still known as Harold Jenkins), with a pleasing tenor voice, understated in its sweetness and dramatic nuance, and a good sense of how to deliver a song, whether ballad, rocker, or gospel number. He continued performing through the 1990s and into the new century. 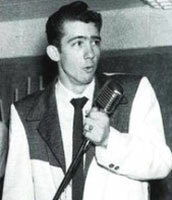 His broadcasting career was especially successful and assured him of a wide country audience, while his classic rockabilly sides from the '50s helped make him a living legend among enthusiasts, especially in Europe. Five decades into performing, he remains true to his country and rockabilly roots. 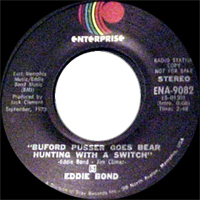 Eddie Bond died March 20, 2013 in Bolivar (Tennessee). 1980 SP HIGH COURT 580 (US) . Ballad Of Randy Gardner / ?